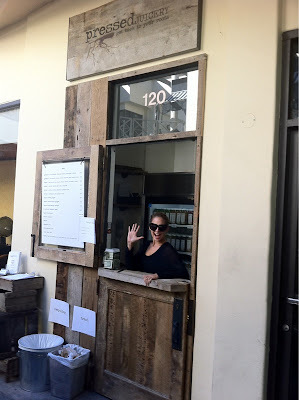 Yesterday afternoon (13th November) Nicole Richie stopped by Pressed Juicery after her session at the gym. Pressed Juicery is a new super healthy Juice bar in Los Angeles, it is part owned by Nicole Richie's good friend Hayden Slater. All juices at the pressed juicery bar are made 100% from natural healthy ingredients and offer cleanses to detox the body and provide you with the nutrients needed to be healthy and cleansed! Image source - Nicole Richie's Twitter & Celebrity gossip.